The Centre on Friday expressed its confidence over National Democratic Alliance (NDA) nominee Ram Nath Kovind's victory in the presidential polls and thanked the opposition parties for their support. "Ramnath Kovind is a very deserving candidate. He was born in a simple poor family and is now going to sit on India's highest post. We tried and appealed to make consent with the opposition parties. It will be a historic victory for us. Ramnath Kovind will win with majority," Union Minister Ravi Shankar Prasad told ANI. Meanwhile, Union Urban Development Minister M. Venkaiah Naidu said thanked the opposition parties for their support. "We met all the leaders of opposition and heard everyone. Then keeping in mind all the views of the parties we decided the name of the candidate. Kovind is a great candidate, he has a fantastic political career. We want to thank all the parties who are going to support us. Before announcing Kovind's name, we discussed with Congress but they decided to contest. I have full faith that Ramnath will win the elections. I am happy that parties outside NDA are giving us support," he added. 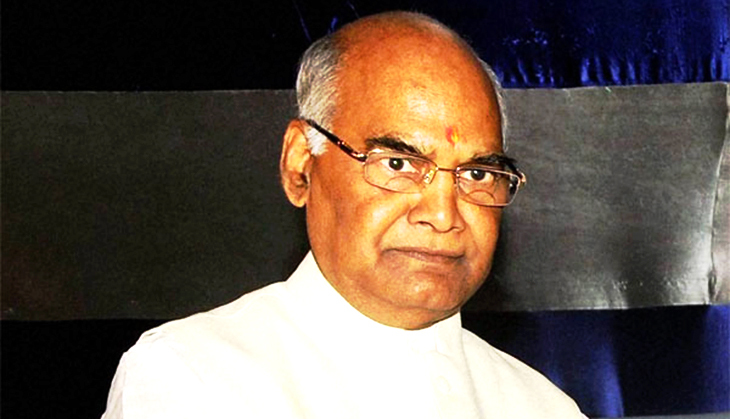 Kovind earlier in the day filed his nomination for the presidential polls. Prime Minister Narendra Modi accompanied Kovind to file his nomination. Along with Prime Minister Modi, Naidu, BJP veteran leader L.K. Advani and Murli Manohar Joshi, BJP chief Amit Shah were present at the Parliament. Before going in to file his nomination, Kovind along with the BJP top brass and the Prime Minister, linked their arms together and raised them in front of the media, in a display of strength. The opposition yesterday nominated former Lok Sabha Speaker Meira Kumar for the presidential polls. All 17 political parties unanimously proposed Kumar's name for the forthcoming Presidential elections. The decision was taken after the Opposition - Congress and the Communist Party of India (CPI), and other parties - met to discuss the NDA's decision on Kovind. The Samajwadi Party and the Bahujan Samaj Party (BSP) have backed Kumar. Though earlier, the Mayawati-led BSP extended their support to Kovind, but after the nomination of Kumar, they recalled their support.